RIG MOVE… MANAGED! EMS has the professional insights to effectively monitor and manage your organization rig move(s)and forecast costs. EMS digitizes the rig move process using SaaS Technology specially designed to create a flexible procedure that tracks the rig-down and rig-up electronically from stage to stage with daily re-caps to all management personnel. EMS Coordinators monitor field equipment, rig-down, rig-up work flow and load assignment job status in real-time and load assignments, with location tasks as well. Start tracking your rig move and service times for each job now!. EMS’s Rig Move Management team encourages companies to utilize companies they are comfortable with or past dedicated truck and crane fleets to provide all the equipment necessary. But with the high turnover and low retention in this particular area of the industry please allow EMS to properly “audit” these companies with proper Transportation and EHSQ’s as assurance they can provide a safe, cost effective rig move. In short… you know that the right people will see the right data at the right time. 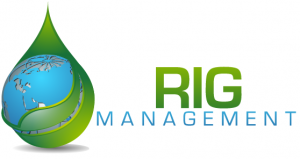 Our management solution means that rig move task are entered as they happen – with an efficiency that means the end to missed opportunities, delayed paperwork and missing invoices. Are you exerting too much energy explaining to rig move transportation companies your expectations? Are you caught by surprise when the wrong equipment arrives on location to move your rig, or worse – not enough equipment arrives? Have you had to re-negotiate your rig move costs due to delays or downtime? Do you wish you had a better re-call of the rig move timeline? Have you had an incident on location and then find out the rig move company hired unqualified contractors? Energy Management Services digitizes your rig move process, to record a flexible progression that moves electronically from stage to stage and then delivers it to the right personnel who need that information most. 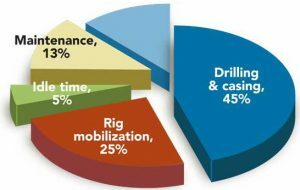 Reducing drilling costs through more efficient rig mobilization with Energy Management Services. Energy Management Services makes use of technology where it’s practical. Significant research and proper qualification of rig move contractor’s drives accountability. Energy Management Services Coordinatorshas the responsibility for managing the hauling resources and closing the gap in communications between the hauling company, the drilling foreman and the drilling engineers. Each EMS coordinator has expertise in mobilization practices. Customers are able to recall rig move company data in a moment’s notice. Energy Management Services Rig moveRe-Cap reports show all of the daily/weekly/monthly stats you’d expect to see. 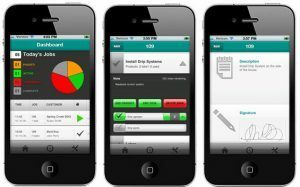 EMS reports enable you to “drill down” into the details that can really tell you what’s happening on location. EMS participates in the planning of the move, scouting the next drilling location and identifying any possible hazards or delays, thereby keeping every aspect of the rig move safe, efficient and productive. It is important to involve the rig move coordinator in the same level of management attention as the drilling superintendent or company man – they all have specific roles that contribute to the success of the rig move process. Day to Day. On Time. In Full. ​EMS requires all Rig Move Coordinators to help the Rig Move Management Team to plan, help budget, track, coordinate and execute on site operations. Our primary focus is providing safe, efficient, timely and cost effective rig move support. EMS will send Daily Re-Caps and Reporting to the Rig Manager, Truck Pusher and any Superintendents or pertinent personnel in conjunction with the rig. These reports will include the tracking of tear-down and rig-up performance metrics for rig moves as well as all loads hauled. The company is always looking for someone with great ideas and the ability to ensure quality control and implementation. • Planning and coordination of rig moves including stacking, load distribution, routing. defining equipment and load specifications. •Assessing site layout and stacking of materials/parts including a detailed understanding of load sizing. • Planning and coordinating dimensional and over-dimensional loads for permitting. ensure all loads are ready for transport with the proper type and number of equipment needed. • Working with Road Use team to help ensure routes are bonded and optimal routing is planned. • Tracking and reporting of KPIs (Key Performance Indicators) for rig moves. • Help manage the rig moving vendor relationship including job performance issues. • Conducting a Route Hazard Assessment to identify and communicate potential hazards. • Developing a Pre-Job Safety Plan and in conjunction with HSE team. • Participating in rig move safety meetings and/or tailgate meetings. Site Safety personnel, conduct and document a JSA (Job Safety Analysis) and Critical Lifts. • Communicating Near Misses to the Drilling Foreman for reporting purposes. •Maximizing cost efficiency for rig moves and related equipment. • Controlling rig move costs and validate tickets/BOL’s for Drilling Foreman sign-off. cross-functional team including vendors, drilling team members, HSE, facilities, and road management. • Providing accurate and detailed rig move cost estimates or quotes including add-ons and equipment costs to the drilling team. • Providing cost variance reports, rig move efficiency, and cost reporting KPIs to the drilling team and contractors. • Reviewing and communicating carrier performance to the drilling team, HSE, and the carrier. • Working with rig move carriers to conduct pre and post job planning and review meetings. © Copyright - | Energy Management Services | All Rights Reserved.